Game of Thrones Season 7 Spoilers | Ice Dragon: You must be waiting for Game of Thrones Season 7 release date & spoilers by Reporter Times. So here is the biggest spoiler you might see in the ending of an episode of this season. Night King also has a dragon. In the episode of “The Lost Lords, commander” we have found CommanderJon Snow recall memories with his grandmother. Old Nan used to tell him stories about white/ice dragon and trees tall as the sky, on which he used to laugh. The road beneath the Wall was as dark and cold as the belly of an ice dragon and as twisty as a serpent. The wind was blowing from the east along the Wall – gusting, cold as the breath of the ice dragon. In the books, there is mention of Ice Dragon as a powerful most flying creature in entire series. It is stronger than dragons of Valyria and has crystal eyes. The breath is so cold that it could freeze the living creatures. We all know that White Walkers actually didn’t own any dragon as of now. They had a special place to get the living people converted into white walkers. Viserion is the white dragon controlled by Daenerys Targaryen. There is a strong chance that Queen’s dragon is mounted by Night King. The other theory reveals that Bran Stark could be the Ice dragon as well. He was told that he could fly. Is this the right time? Game of Thrones Season 7 is not going to have many incidences of this spoiler. We believe that Season 8 might have a good number of episodes. Currently, Daenerys is walking to the Iron Throne, and she might lose her one dragon Viserion while fighting against the Lannisters. Moreover, many alliances needed to be formed before the final war. Sansa didn’t play much role in Game of Thrones till now likewise other Starks. She had contributed major part by saving Jon Snow in Battle of the Bastards. Game of Thrones Season 7 is going to be much fun for all the followers around the world. Definitely, David Benioff is a person who doesn’t believe in good vs bad theory and could let anyone win. 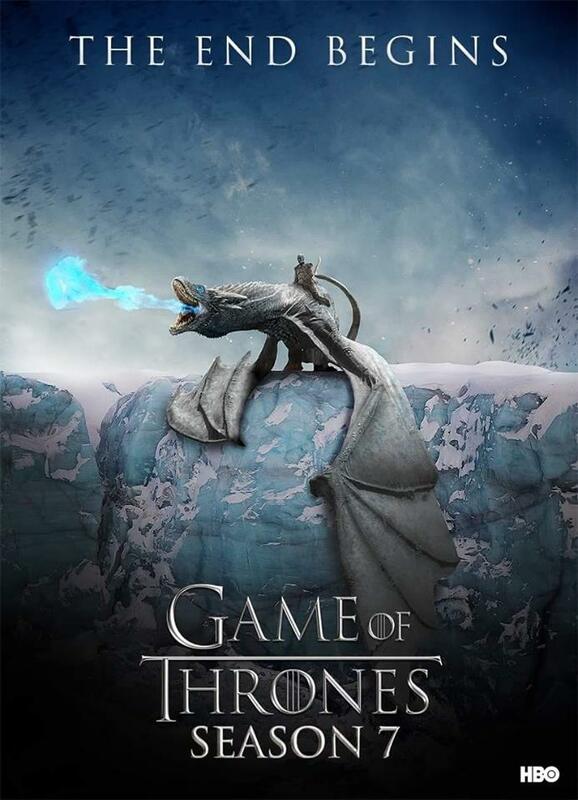 A recently released poster on a fan page reveals Night King riding the Ice Dragon. However, there are not much information available regarding Ice Dragon, but we are able to confirm that the initial episodes of Game of Thrones Season 7 are not going to have this. Next articleSamsung Galaxy Note 8 Release Date and Specification: To Launch In First Half of 2017?